With the election of far-right politician Jair Bolsonaro to the presidency of Brazil many are struggling for answers as to how the world’s fifth most populous country elected a president who openly praises the Brazil’s former dictatorship and has threatened to jail left political opponents. At the same time the charismatic former Worker’s Party (PT) president, Lula de Silva, is blocked from running as he remains jailed on corruptions charges instigated by the right wing. The context of Bolsonaro’s victory is driven by the country’s deepest economic recession since the end of the dictatorship, corruption scandals that have discredited existing political institutions and parties, and a 2016 parliamentary coup initiated by the right-wing to oust Dilma Rousseff of the PT from the presidency. 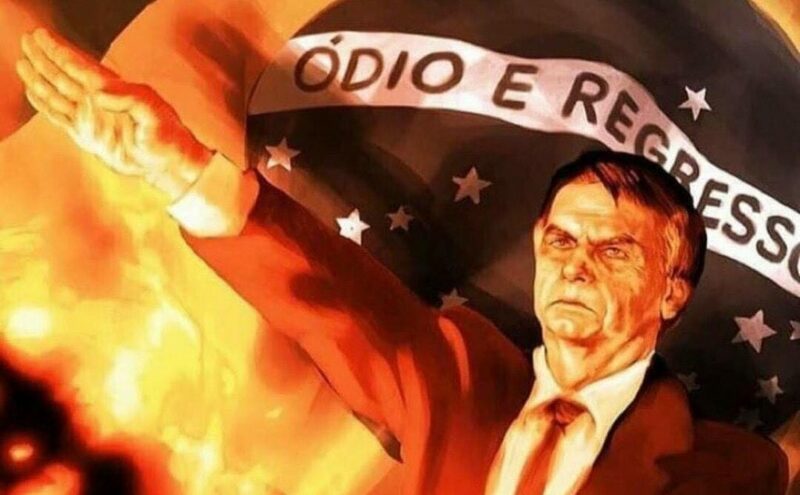 Factors that are not to be forgotten are the support Bolsonaro received from right-wing media, illegal campaigning by wealthy backers, support from Koch brother funded organizations, and the counsel of former Breitbart News editor and Trump adviser Steve Bannon. But the story would not be complete without an understanding of the decline of the PT. As Jewish Marxist philosopher Walter Benjamin noted, “every resurgence of fascism bears witness to a failed revolution.” Lula de Silva, a union leader and former metal worker, rose to global prominence with his 2003 election to the Brazilian presidency and association with the PT hosted World Social Forum held in Porto Alegre, Brazil 2001, 2002 and 2003. But similar to the ill-fated Syriza of Greece, the PT has transitioned from political darling to quickly forgotten footnote for many. Once in office Lula embraced a rhetoric of “fiscal responsibility” and a practice austerity measures, cutting social programs and attacking labor rights. Some progressive reforms were enacted, such as increases in minimum wage and cash transfer programs, but overall the PT faced the classic contradictory dilemma of attempting to implement their program or actually governing. Millions of Brazilians were glued to their televisions on April 17, waiting for the results of the Congress’s impeachment vote. They came through late: the 513-seat lower house of Congress voted 367 to 137 in favor of impeachment charges against President Dilma Rousseff. The Senate is expected to vote to formally open the impeachment trial and prompt Rousseff’s suspension as president on May 11. For a moment it seemed the vote in the Senate might be canceled. On May 9, seemingly out of nowhere, Waldir Maranhão, a member of Congress for the center-right Partido Progressista (Progressive Party, PP), and interim president of the lower house since last Thursday, suspended the impeachment process, citing at least four procedural irregularities in the voting process of April 17. Maranhão insisted that the Senate cease its proceedings on the matter and send it back to the lower house for further deliberations. Having none of this, the president of the Senate, Renán Calheiro, called Maranhão’s decision an “anti-democratic idiocy” and announced that the process would proceed in the Senate as scheduled. Calheiro is a member of the Partido do Movimento Democrático (Brazilian Democratic Movement Party, PMDB) — once an ally of the government, but now its leading nemesis. On the eve of the reckoning in the Senate, and in lieu of action by the Supreme Tribunal, it appears as though Rousseff’s presidency will be suspended. The spectacle in the lower house in mid-April was as ugly as it was farcical. In the ten-second speeches members gave before voting, the vast majority of the opposition did not invoke the actual impeachment charges — that Rousseff tinkered with government accounts to conceal the true size of the deficit. Instead, the speeches were rallying cries about god and country, alongside a string of fringe irrelevancies. No doubt the darkest harbinger of things to come was Congressmember Jair Bolsonaro’s intervention who dedicated his vote to Carlos Alberto Brilhante Ustra, chief of secret police during the military dictatorship that began in 1964. The Senate’s electoral structure, where the more densely populated, richer, and intensely anti-government states of the south and southeast are relatively underrepresented, is slightly more favorable to Rousseff than the lower house. But unlike in the lower house, where a super-majority of two-thirds is necessary for impeachment, the Senate only requires a simple majority. Estado São Paulo predicts that forty-six of eighty-one senators favor an impeachment trial, with only twenty expressly against. If the Senate votes as expected, Michel Temer, leader of the centrist PMDB, the vice president, and former ally of the government, will assume powers as acting president. The final stage is a Senate vote to impeach, which would take place in late June. This vote requires a supermajority. If it succeeds, Temer will be the country’s formal president until the next scheduled elections in 2018. How did Latin America’s biggest economy and most important political power come to this point? The country’s steep economic downturn since 2011, when the global crisis made its delayed landing in the country, is certainly one catalyst. In 2010, a counter-cyclical stimulus package produced 7.6 percent growth, seemingly extracting the country from the global downturn. But that illusion was quickly shattered. Between 2011 and 2014, economic growth averaged 2.1 percent annually, half of the 4.4 percent growth Brazil enjoyed between 2004 and 2010. Then the economy shrank by 3.8 percent in 2015, transforming the country long touted in the financial press as one of the fastest-growing economies in emerging markets into one suffering its deepest recession since official records began. Projections of a further 3 percent fall in 2016 are similarly dour. The economic crisis has had dramatic political consequences. The renowned “realism” of Rousseff’s Partido dos Trabalhadores (Workers’ Party, PT) worked in a period of high growth with strong external drivers: the rich could get exponentially richer, and the poor could become less poor. But that model has since come crashing to the ground. At the same time, a massive corruption scandal called the petrolão (big oily) has added fuel to the fire. It began in 2014, when Sergio Moro, a little-known judge from the southern state capital of Curitiba launched an investigation into a currency dealer suspected of tax evasion. As of March 2016, Operation Car Wash (as the investigation was called) has led to the arrest of 133 people. Some of the richest business figures in the country from sixteen different companies — among them, Camargo Corrêa, OAS, UTC, Odebrecht, Mendes Júnior, Engevix, and Queiroz Glavão Engenharia — are incarcerated. Politicians of every stripe — those opposed to and those aligned with the government — are embroiled in the affair, including members of the PT, the PMDB, the PP, the Partido da Social Democracia Brasileira (Brazilian Social Democratic Party, PSDB), and the Partido Trabalhista Brasileiro (Brazilian Labor Party, PTB). The hypocritical intensity of the impeachment effort defies satire. Forty of the congress members who voted against Rousseff themselves face criminal indictments; the Car Wash investigations have implicated fifteen more — including several members of Temer’s PMDB. The day after the lower house made the impeachment vote, a former Petrobras executive claimed that Calheiros, the PMDB speaker of the Senate, accepted bribes of six million dollars from an oil rig supplier. Meanwhile, the electoral authority continues to investigate both Temer and Rousseff for using money from the Petrobras corruption scheme to fund their reelection campaigns in 2014. Eduardo Cunha, until last week the right-wing evangelical speaker of the lower house, ally of Temer, and a central protagonist in the impeachment drive, faces separate corruption charges involving secret Swiss bank accounts that hold roughly thirty-seven times his declared wealth at home. The Supreme Court already indicted this surrealist avenger for corruption and money laundering. Even though “the big oily” seems to cover everyone, mainstream newspapers and TV channels have focused their scrutiny almost exclusively on the PT’s involvement. In what became a major media event, investigators detained and questioned Luiz Inácio Lula da Silva (the former leader of the PT and two-term president) over claims that he acquired a beachside apartment and a rural getaway through illegal kickbacks. Rousseff tried to appoint Lula as her chief of staff, which would have shielded him from prosecution from any judicial body below the Supreme Court. Federal judge Catta Preta Neto blocked the appointment, illegally publicizing an illegal recording of a conversation between Rousseff and Lula that, according to the opposition, irrefutably proves that Lula’s brief chief of staff appointment was made only so that he could escape jail time. Slaying Lula, who had eighty percent approval ratings at the close of his second term and remains intensely popular, would slay the PT. It would also redirect attention from the many opposition leaders implicated in the scandal. Despite the strenuous efforts to prove Rousseff’s entanglement with the distended rot of her party (and much of the political elite), nothing implicates her in illegal activity. If this remains true, her impeachment would constitute a “parliamentary coup” like the one that toppled center-left Paraguayan president Fernando Lugo in 2012 (comparisons with Honduras, where a straightforwardly military coup took place in June 2009, are misleading). Without a clear link to the petrolão scandal, Rousseff’s impeachment will proceed on the charge that she used funds from public banks without authorization to cover budget gaps and to minimize the deficit’s visibility. But this is a common practice in Brazilian history: no president has ever been impeached for making this kind of budgetary payment. Opponents floated alternative — and even weaker — grounds for impeachment. They claim Rousseff accepted campaign funding from corrupt sources in 2014. But this would implicate all the other major parties simultaneously and thus challenge the legality of the 2014 elections. So most of their money remained on the pedalada card. Dan Bogler notes that her impeachment could be a godsend for foreign investors in Latin America more generally. It would set a precedent for the early removal of unwanted left-leaning leaders. Temer pledged to adopt orthodox neoliberal economics — balancing the budget and no longer raising salaries, benefits, and other payments to the working classes to meet inflation — once in power. The will of finance is axiomatically more important than democratic niceties. This does not imply that the class character of the state had changed, or that public policies would necessarily shift to the left. But it changed the appearance of the state: millions of workers could recognize themselves in the bureaucracy, which increased hugely the legitimacy of the state among the poor and spread further a feeling of shared citizenship in Brazil. Three commitments limited Lula’s policy: low inflation and central bank independence; liberalization of capital flows and floating exchange rates; and fiscal austerity. Within this framework, little could be done to improve the conditions of the working classes, much less strengthen their organizational power. This is not say that nothing happened: the administration formalized labor contracts, increased the minimum wage, improved targeted cash transfer programs, and extended the role of development finance. But low growth rates and minimal distribution dogged Lula’s first term. Then, in 2005, the first of the corruption scandals that would haunt the government: the mensalão (monthly payoff) scandal, in which the PT bribed deputies $7,000 a month for votes. PT loyalists were quick to argue that Lula merely perfected a long-standing art of Brazil’s political elite. Perhaps. But it was a blow to the credibility of a party whose origins had been rooted in working-class emancipation and whose leader was a former trade union militant. The 2006 elections found the PT in internal turmoil, and the party nearly lost at the polls. To retain the PT’s base and buoyed by the international context of a commodity boom, Lula introduced more distributive elements in his second term without sacrificing the government’s allegiance to agribusiness, finance, and industrial capital. Honing a regime of multi-class conciliation, Lula conceded to capital’s demands all the while offering targeted welfare to a pauperized strata dependent on the state. The World Bank-lauded bolsa família — a conditional cash transfer program that reached millions — is just the most famous of these efforts. He also expanded higher education and introduced university quotas for black students. In the wake of the global crisis, Lula drew on foreign reserves, accumulated at high rates during the commodities boom, to launch expansionary programs. He created millions of jobs, but they were mainly low-paid, unskilled, and precarious. The state invested in nationalized enterprises: Petrobras expanded following the company’s discovery of deep-sea oil reserves. Brazil and the global media celebrated Lula’s statesmanship and the country’s proud membership in the BRICS group of emerging countries. Lula become something of an ambassador for Brazilian capital abroad, visiting thirty countries between 2011 and 2012, twenty of which were in Africa and Latin America. Construction firms, including the later-disgraced Odebrecht, OAS, and Camargo Correa, paid for thirteen of these trips. 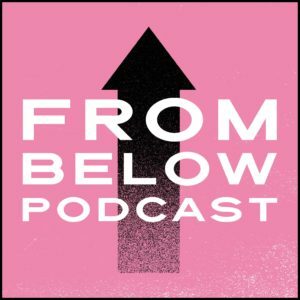 The boom years allowed the PT to lubricate its multi-class alliance, targeting modest social reforms at the poorest Brazilians, expanding employment, and raising the minimum wage and living standards, while allowing the rich to capture a vastly disproportionate share of the increasing wealth. But at the same time, there was no export diversification or technological developments in manufacturing. The state also neglected infrastructural investments, like basic urban transport and water, which would become flashpoints in coming protests. 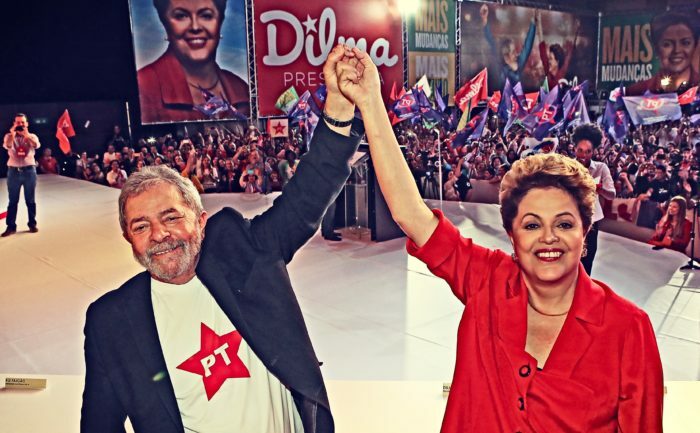 Lula’s unprecedented popularity at the close of his second term in 2010 allowed him to anoint Dilma Rousseff as his successor and virtually guarantee her election. Rousseff had been a Marxist guerrilla during the dictatorship; she was Lula’s first minister of energy and mines (2003–05), and then his chief of staff (2005–2010). Her bureaucratic experience did not translate into political acumen: prior to becoming president she had never campaigned or been elected to any office. The new president inherited a roaring economy. As the continuity candidate, she gathered the various bourgeois fractions that had supported Lula around her. Her initial program reproduced that of Lula’s second government: she tried to stoke growth in the internal market, increase export commodity production (particularly in the agribusiness sector), and reduce taxes for large corporations. Meanwhile, she maintained extraordinarily high interest rates, guaranteeing the financial sector’s support. During Lula’s presidency, the country’s terms of trade improved dramatically. Raw material exports grew from twenty-eight to forty-one percent, while manufacturing fell from fifty-five to forty-four. The trend continued under Rousseff. Primary materials accounted for over half the value of total exports by the end of her first term. However, from 2011 forward, the international price of Brazil’s raw material exports spiraled downward. Iron, soy, and crude oil rapidly declined. Brazil had not escaped the global crisis, only delayed its arrival. Rousseff’s political misfortune was to become head of state just as the hurricane reached the doorstep. The prolonged slump in the US and eurozone, combined with China’s cooling expansion, further depressed commodity prices. At the same time, quantitative easing in the US, UK, Japan, and the eurozone ignited capital outflow to Brazil, overvaluing the currency, stoking deindustrialization, and sustaining the GDP’s long fall. In a misguided attempt to restore “market confidence,” Rousseff’s administration enthusiastically embraced structural adjustment and austerity measures, cutting social programs and attacking labor rights. Unemployment rose; wages fell. And of course austerity’s effects were disproportionate: the profits of Brazil’s four largest banks in 2013 exceeded the GDP of eighty-three countries. But Rousseff’s overtures to big businesses could not stop the crisis. Problems with domestic consumption accompanied plummeting commodity prices. The PT had increased the popular classes’ purchasing power not only through minimum-wage increases and cash transfers, but also through a breathtaking surge in consumer credit. As Anderson points out, private-sector debt more than doubled between 2005 and 2015. Meanwhile, austerity measures alienated the organized working class and informal proletarian layers that had long lent the PT support. The first signal of discontent from below arrived with the wave of urban rebellions in June 2013, eventually involving more than two million people nationwide. The Movimento Passe Livre (Free Fare Movement, MPL), a social movement rooted in the struggle for free mass transit in urban Brazil, initially organized the revolt. Privatized and unreliable transit, and the more general marketization of the public sphere under PT governments, angered working-class youth. They constituted much of the initial base of the demonstrations. These days of rage also channeled pervasive indignation at public money directed to the 2014 World Cupand away from health care, education, and basic infrastructure. Protestors appropriated public space, occupied streets and plazas, questioned the existing forms of institutional representation in Brazil’s capitalist democracy, and practiced new forms of direct democracy. The Brazilian myth of a middle-class country, fostered by the PT since 2003, in which a virtuous circle of capitalist development would allow all classes to prosper, came apart at the seams. Yet the organized left was too fragmented and marginalized to provide leadership in the June demonstrations, which were characterized by multi-class participation and ideological eclecticism. On the one hand, they drew precarious youth, working-class university students, and youth from poor suburban neighborhoods. There were a small but important number of far-left political groups and social organizations as well: the Partido Socialismo e Liberdade (Socialist and Freedom Party, PSOL), Partido Socialista dos Trabalhadores Unificado (United Socialist Workers Party, PSTU), the Partido Comunista Brasileiro (Brazilian Communist Party, PCB), the MPL, the Movimento dos Trabalhadores Sem Teto (Homeless Workers Movement, MTST), and the Movimento Periferia Ativa (Movement of the Urban Periphery, MPA). But there were also sectors of the conservative middle class, who with time grew in number and cohered in political clarity. The Left’s weakness was in part a reflection — particularly in the case of the expressly political formations — of their recent inability to widen their social bases, despite the declining popularity of the centrist PT. A new anti-party, populist right capitalized on the Left’s marginalization and captured extra-parliamentary momentum at the end of June. The protests emboldened proto-fascist and fascist groups who began to physically attack and expel those carrying left-wing banners. This was the backdrop to Rousseff’s 2014 presidential campaign. 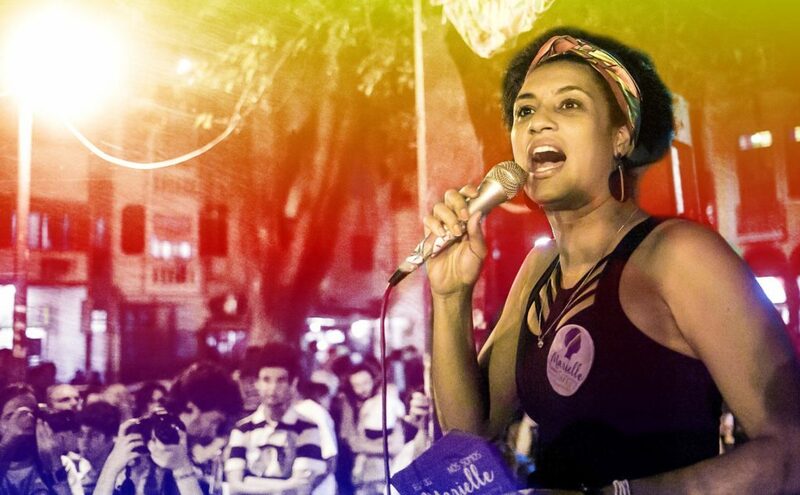 She campaigned as an anti-neoliberal, promising to reject the fiscal adjustments demanded by capital and to defend the social rights won by Brazilian workers through decades of struggle. At the same time, the traditional popular base of the PT feared the fierce neoliberal restructuring that Rousseff’s conservative opponent Aécio Neves would enact. This allowed Rousseff to win, even if it was by a narrow margin. However, once elected, Rousseff made an about-face and appointed Joaquim Levy finance minister. Levy was an unambiguous representative of international financial capital, trained in economics at the University of Chicago. Before joining the Rousseff administration, he worked at Bradesco, one of the largest private banks in the country. Levy set to carry out a severe austerity package, signaling once again that the PT’s top priority was appearing credible to the market. But the representatives of capital considered Levy’s austerity program, despite being a brazen betrayal of workers and the poor, too little too late. Even before Operation Car Wash flooded the political scene, Rousseff’s approval ratings had fallen into the single digits. The Chamber of Deputies and Senate coalition that had supported the Rousseff government came apart. The call for impeachment grew louder. The anti-party, right-wing populist groups organized mass demonstrations — something not seen since hundreds of thousands of right-wing protesters were mobilized in the lead-up to the 1964 coup d’état that overthrew progressive president João Goulart. Hundreds of thousands of upper-middle-class protesters, backed by the mainstream media, took to the streets in Brazil in 2015 and 2016. By March 2016, three million Brazilians participated in demonstrations, according to police. A poll of demonstrators in São Paulo on March 13, 2016 revealed that 77 percent had post-secondary degrees. The same percentage were white. (This in a country where fifty percent of the population is black or mixed-race.) 63 percent of the protestors earned salaries equivalent to at least five times the minimal salary; the average age was forty-five. The 2015–16 protests are distinct from those of 2013. They are unambiguously right wing, anti-corruption, and pro-impeachment. The new right first gained large-scale visibility on June 20, 2013, the day of the so-called Revolt of the Coxinhas (a pejorative term used to refer to pampered, white, upper-class men). That day, tens of thousands of coxinhas, carrying green and yellow Brazilian national flags, joined the massive demonstrations against bus tariffs organized by the MPL and began attacking protesters carrying symbols of the Left. Some observers suggest the new right is the spontaneous creation of mainstream TV media and right-wing social media groups. But the facility with which they seized control of the demonstrations suggests something else. The new right is militantly organized, with politicized cadres, coherent strategy, tactical experience, and political education developed through years of work in the public and private university systems. Raúl Zibechi dates their first action to August 17, 2007. On that day, Civic Movement for the Rights of Brazilians, better known as Cansei (I’m tired of it) organized demonstrations in response to the mensalão corruption scandal. Five thousand people participated. The repertoire of the demonstrators foreshadowed what we witness today: they chanted “Out with Lula,” mobilized popular telenovela actors, and enjoyed the support of the Federação das Indústrias do Estado de São Paulo (Industrial Federation of the state of São Paulo, FIESP), the most powerful manufacturing sector organization in Brazil, and the Ordem dos Advogados do Brasil (Brazilian Order of Lawyers, OAB). Between 2007 and 2013, the new right organized public university student federations that had historically been bastions of the Left. The most significant initial victory occurred at the University of Brasília (UB). In 2009, a group called Alliance for Freedom won the leadership of the UB student federation in 2011 with only 22 percent of the vote, due to fissures in the Left. In 2015, they were reelected for the fourth time, this time with 60 percent of the vote. Under the new right’s leadership, the student federation has engaged in important direct actions, including occupying the rector’s office to force him to resign for acts of corruption. Alliance for Freedom has ties to Students for Freedom, a group funded by neoliberal and Cold Warrior think tanks based in the US. Also in the network is the Liberal Institute, which focuses on quotidian necessities of students, like clean bathrooms and security on campus. The link between everyday student needs and far-reaching political objectives has been very effective organizationally. Using this strategy, the new right took over student federations in other state universities during the same period, including Minas Gerais and Rio Grande do Sul. They draw their support from the departments of economics, law, and engineering. But we should be careful not to exaggerate the institutional strength of the Right in the student movement. The largest universities in São Paulo and Rio are still controlled by the Left. The elected rector of the second-largest university in the country, UFRJS in Rio, is a PSOL member and has a long history as a trade union militant. Alongside university organizing, the new right participates in demonstrations and marches. In 2011, they mobilized twenty thousand people nationwide across twenty-five cities. Protesters sang the national anthem and carried the national flag. By the June 2013 rebellions, the new right was well positioned to intervene. The Left’s core organizers had joined the lower echelons of the state apparatus under successive PT governments, but the new right’s cadres had recent experience in extra-parliamentary, social-movement leadership. As a result, the new right redirected what began as left-wing demonstrations against transit fees. Movimento Brasil Livre (Free Brazil Movement, MBL), Vem Pra Rua (Come to the Streets), and Revoltados On Line (Revolted On Line) — which have become the most important vessels for mobilizing against corruption and for impeachment — emerged from these demonstrations. Ideologically, the new right is distinct from the authoritarian Catholic and right-wing militarists from the 1960s and 1970s. The rise of Evangelical Protestantism is essential to this difference. The dominant current of Evangelical Christianity, to which roughly one-fifth of the Brazilian population belongs, preaches a “theology of prosperity.” It promises “material success on earth rather than mere relief in heaven” and boasts billionaires and politicians among its growing ranks. The incongruous new right accepts abortion, gay marriage, the decriminalization of marijuana, and free public services. But they glorify the free market, opposing state-mandated university quotas for black students and framing bolsa família as a program that takes from the deserving upper-middle classes to give to the undeserving poor. The core groups of the new right combine the large donations from think tanks, lawyers, and industrial capitalists with small contributions from grassroots supporters and proceeds from t-shirt and protest paraphernalia sales. The anti-politics profile is key to the credibility of the main organizations, but many leading campaigners have longstanding ties to traditional political parties. Right-wing politicians who have served time in prison for corruption or presently face corruption charges have played important roles in the demonstrations. 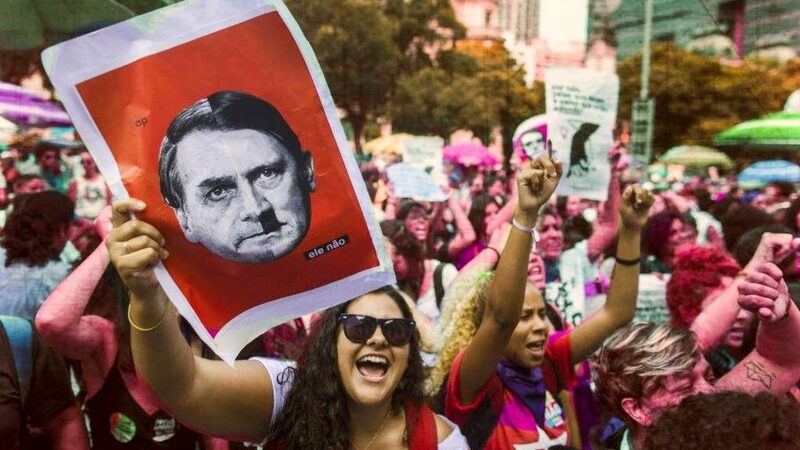 The leader of the main opposition party (the PSDB) gave the keynote at an anti-corruption mobilization in Belo Horizonte; ex-president Fernando Henrique Cardoso, also of PSDB, joined the growing chorus calling for Rousseff to step down. The police and media have embraced the new right mobilizations. This is in stark contrast to the standard repression and demonization meted out when the Left mobilizes. Those in the streets are the shock troops for the politicians waging the technical impeachment proceedings in Congress, and the judges and prosecuting teams producing the legal justifications for Rousseff’s removal from office. But while they may succeed in removing Rousseff from office, the new right lacks any credible political vehicle with which to fill the power vacuum. As a consequence, Brazil is at an incredible impasse: competing forces vie for the hegemony that the PT has evidently lost, without any obvious alternative. To recap, the explosive situation in Brazil grew out of a confluence of intermingling crisis tendencies. The global economic crisis was delayed but no less fierce. Rousseff campaigned in 2014 on a lie and won with the narrowest margin in recent Brazilian history. She hasn’t been unable to win back the confidence of the markets or the support of the popular classes. In December 2015, fiscal hawk Levy resigned; Nelson Barbosa, a dove in fiscal matters, replaced him. But this feigned tack to the moderate left fueled the Right’s impeachment campaign without returning support from the Left. Corruption charges have now entangled virtually the entire leadership of the PT dating back to 2002. Important figures like José Dirceu and João Vaccari Neto are in prison. Rousseff has lost all semblance of political authority, as the alliances holding her government aloft unravel quickly. Workers and the poor continue to reject the PT government’s austerity packages; the new right is gaining confidence and capacities, even if it still lacks an alternative project for power. There is no independent socialist left with sufficient influence to produce an alternative. This situation would not have been possible without the PT’s internal debacles and its abandonment of working-class emancipation. The Rousseff government repressed protests and allied itself with capital, made labor legislation more flexible, and covered for a corporation responsible for the environmental crime of Mariana. It applied multiple rounds of austerity that disproportionately affected the country’s popular classes. The ruling party now mourns the absence of its own moral capacity to mobilize the poor against the Right. But this was foreseeable: their maintenance of neoliberal rule combined with routine corruption more typically associated with the Right diminished their support base. The present impasse, then, is both wrought with danger and opportunity. The challenge, according to Antunes, “is to build a social and political alternative of a new kind,” a new left authentically aligned with the best of the popular movements. Antunes argues that the corruption scandal produced a false polarization in Brazil between the new right/PSDB and the PT. But they have more in common than is commonly recognized. Therefore, the creation of authentic socio-political polarization becomes the order of the day. To do so, the Left must find a new socio-political basis capable of rejecting both of the reigning images of capital. There are already actions in this direction. “The MTST has promised to launch massive demonstrations if the government defaults on its promises to boost public housing programs,” Purdy writes. “And the two left-wing trade union centrals — Conlutas and Intersindical — are stepping up their support from the public- and private-sector strike actions that are multiplying across the country.” High-school and secondary technical students are presently occupying over a dozen schools in São Paulo and Rio over state-level corruption and austerity. Navigating the present moment’s complicated terrain will require strategically mapping the balance of forces in the extra-institutional and the institutional arenas alike, plotting interventions, and hoping to turn the tide. Fragmented left political groupings and social movements are channeling the initial spirit of the 2013 struggle to oppose Rousseff’s austerity programs and combat the new right. But prospects are dim, at least for the early days ahead.